Dining al fresco by the River Weser is the way to go if you are in Bremen, Germany. 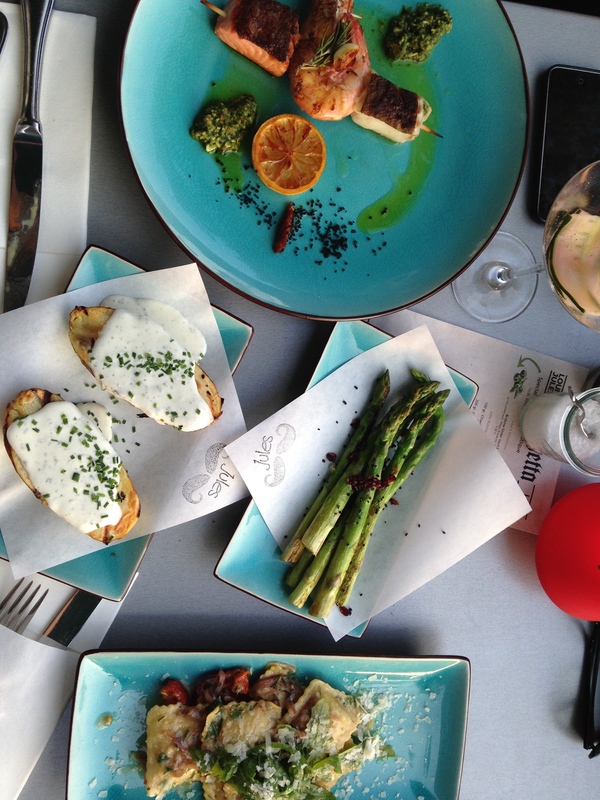 If you like steak, seafood, pasta and good drinks well then Le Gril by Loui & Jules is the place for you. Beautiful view, great atmosphere and excellent service. The French/Italian food is served with a hint of German influence. Le Gril specializes in steak and has a number cuts available in its “Grillboutique” from Germany, Spain, Scotland and Uruguay. Presentation was appealing and the portions were generous. 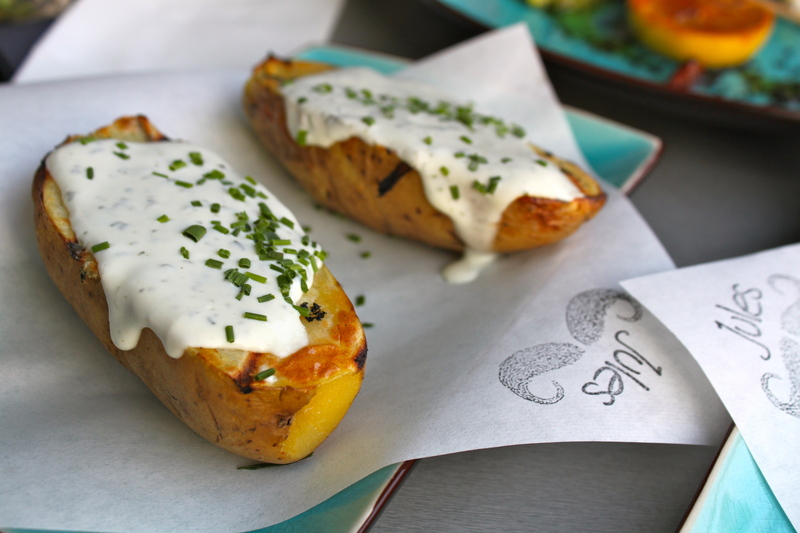 Tell me these baked potatoes with sour creme and fresh chives aren’t making your mouth water. 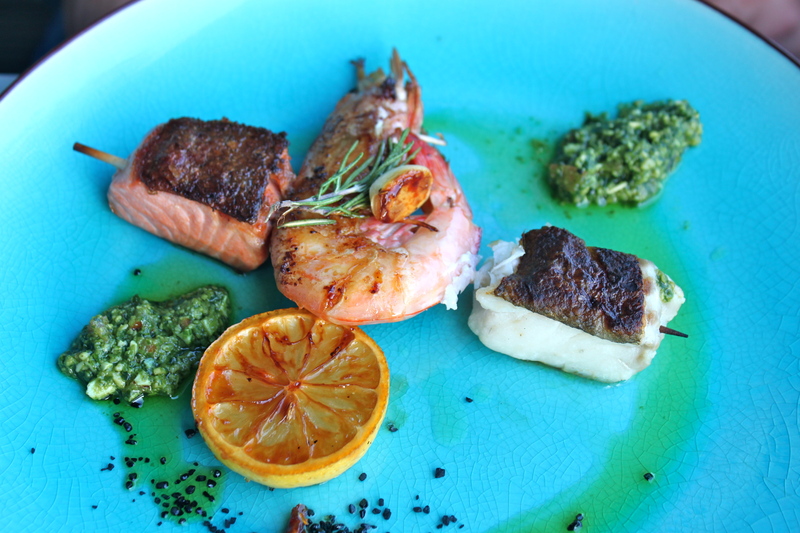 Grilled shrimp, salmon and cod. 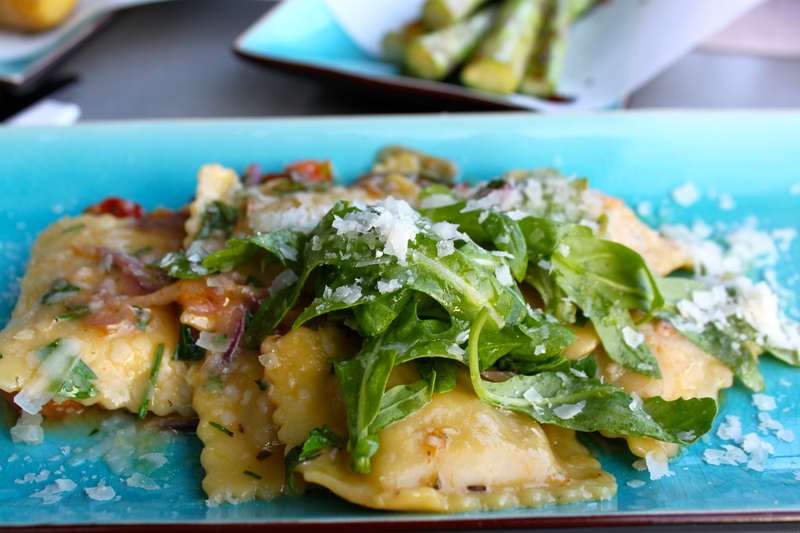 Ravioli Melanzane with arugula, parmesan, tomatoes and stuffed with eggplant & feta cheese. Delicious and great vegetarian option. The cocktails held their own with the food. 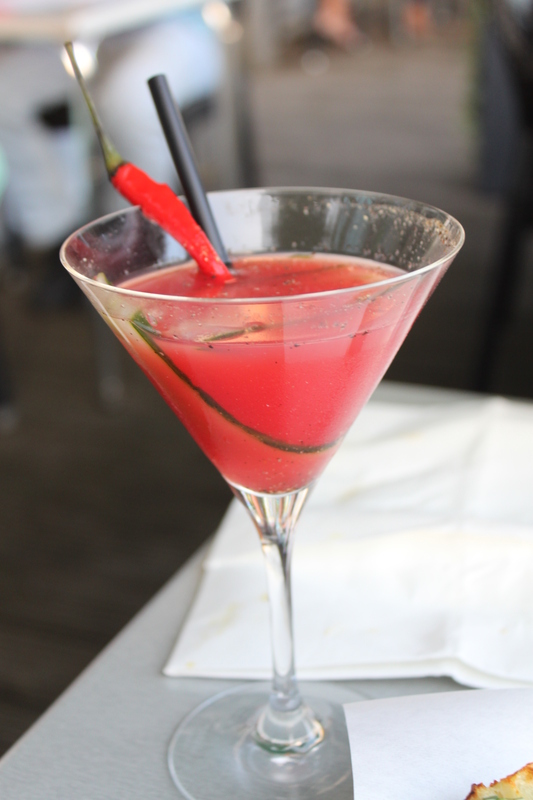 Especially the pepper tequila. Next time I am here I will order the steak they are famous for and another Red Hot Loui Pepper! Reservations are recommended. Kids menu available. This made me miss my alfresco Spanish lifestyle. Weather not so good in the uk, so it’s under an umbrella for me! It’s ok, it’s normal! As soon as I see a terrace, I’m there. Make hay whilst the sun shines and all that…..